Disclosure: I am a spokesperson for the Milk Life campaign and was compensated to write this post to share science-based information with you. As always, opinions are my own. When it comes to non-dairy, plant-based milks, like almond or coconut milk, you may not know they don’t have the same naturally occurring nutrients as real dairy milk. Many contain a long list of ingredients, including added sugar, syrups, salt, thickeners and stabilizers while milk has just milk, vitamin A and D.
I have a general pet peeve that almond, hemp, rice, coconut, etc. milks are called “milk” at all simply because they’re white. I think “drink,” “beverage,” or something more descriptive would be better for those products. Don’t get me wrong, those drinks are fine to have occasionally and some even offer a small amount of nutrition but when you’re substituting it for cow’s milk and trying to make up the same nutrition as what you’re eliminating, those options just fall short. Milk is a choice you can feel good about serving your family. Many people don’t realize that from the farm to the dairy plant to the grocery store, milk is one of safest foods you can buy. All varieties of milk – regular or organic, flavored or white – are wholesome and naturally nutrient-rich. It’s hard for children to get the nutrients they need to grow up strong without milk in their diets. As a mom, I trust milk for the protein and nutrients it provides. 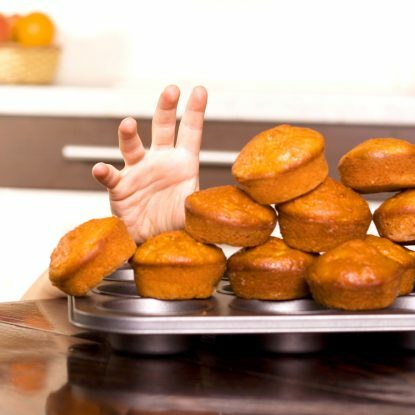 However, a sad fact is that many children fall short of four important nutrients cited by the Dietary Guidelines 2010 and Dietary Guidelines Advisory Committee Report 2015 as nutrients of concern. 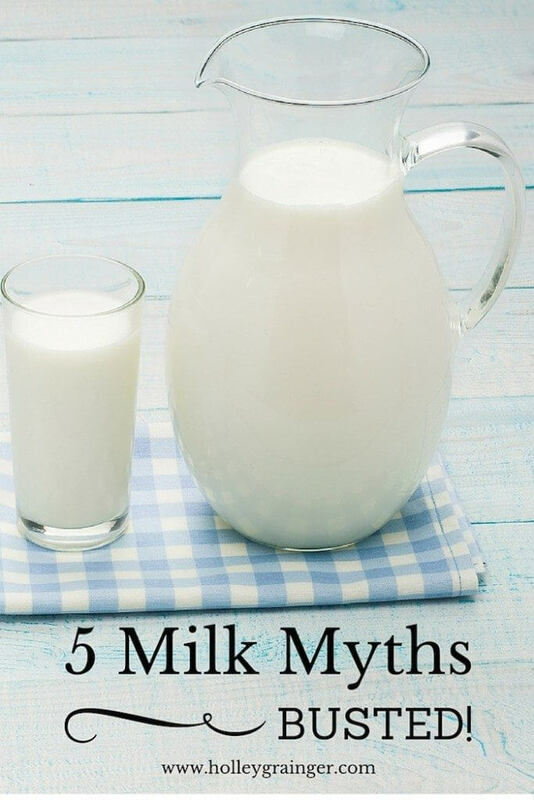 Thankfully, milk offers three of these four nutrients–calcium, vitamin D, and potassium. Plus, the American Academy of Pediatrics cites that milk is a great way for kids to get their bone-building nutrients – even more so than supplements or alternatives like vegetables or milk-like, fortified beverages. And as an aside, if sugar is a concern, milk has no added sugar. The sugar you do find in white milk is from naturally occurring lactose, not added sugar. This is true if you buy whole, lowfat or fat free milk. Milk is one of the most affordable ways to give kids the nutrition they need. Penny for penny, other beverages just don’t compare to the amount of nutrition you’re able to serve in one glass. In fact, milk rings in at around 25 cents per glass. Compare that to some of the beverages kids are drinking these days at a few dollars a piece and it really is an affordable option. 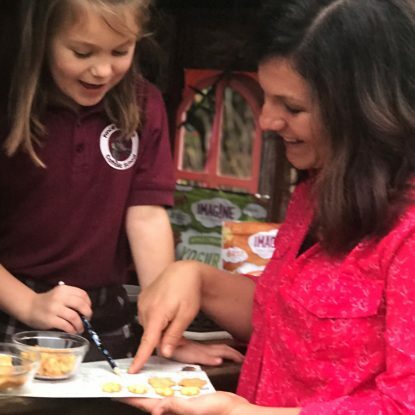 The Dietary Guidelines recommend three servings of lowfat or fat free milk and milk products each day for kids over the age of eight, and two and a half servings for children ages four to eight. 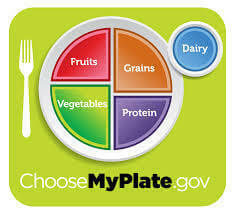 The American Academy of Pediatrics suggests growing adolescents may need as many as four servings for bone growth. But research has found a milk gap that gets wider from age 9 on (especially among adolescent girls and women) because of a stronger preferences for juice drinks, sports drinks, and soda. 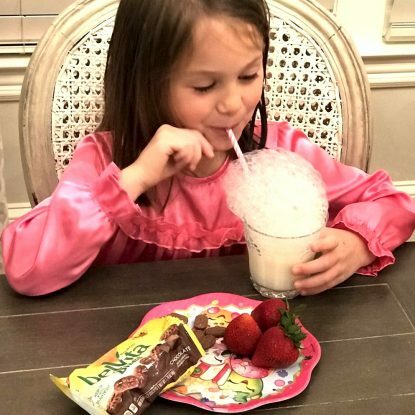 As parents, it is important to remember that these drinks don’t provide the nine essential nutrients including 8 grams of protein to fuel our children, adolescents and ourselves. So how do we get our milk in each day? For the girls, it is at breakfast, lunch, and dinner. Sometimes it is in their cups and other times through the straw connected to their cereal bowl. Hey, don’t judge! Brent and I usually get in our milk servings by the glass, in oatmeal (make oatmeal with milk instead of water), in smoothies, or in our cereal. Love milk and other dairy foods? Check out some of my favorites on my Delicious Dairy Pinterest Board. great myth busting here! My girls love all dairy, especially their milk! 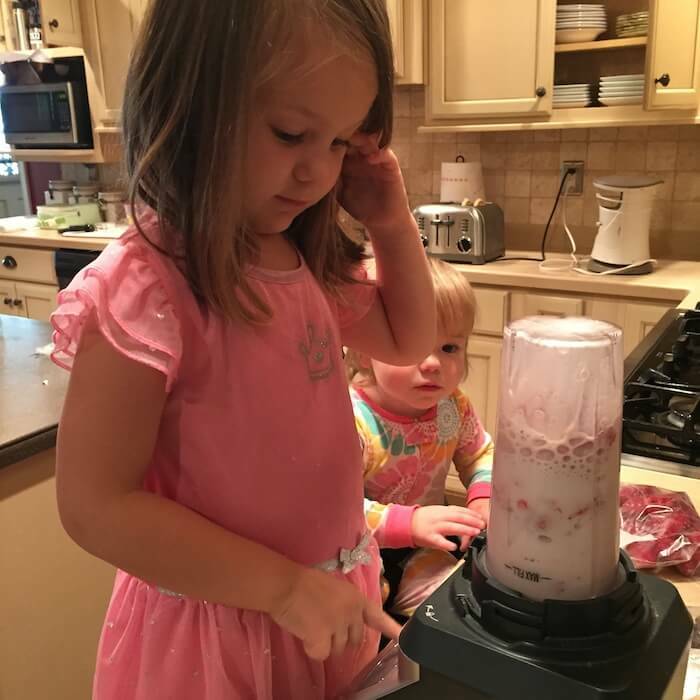 love the pic of the girls smoothie making! Thanks, Jessica! They think the idea of blending everything up is just hilarious! The little things, right! Great information! I agree that the other products should be called drinks instead of milk. It really does confuse the consumer, and milk is so good for us!